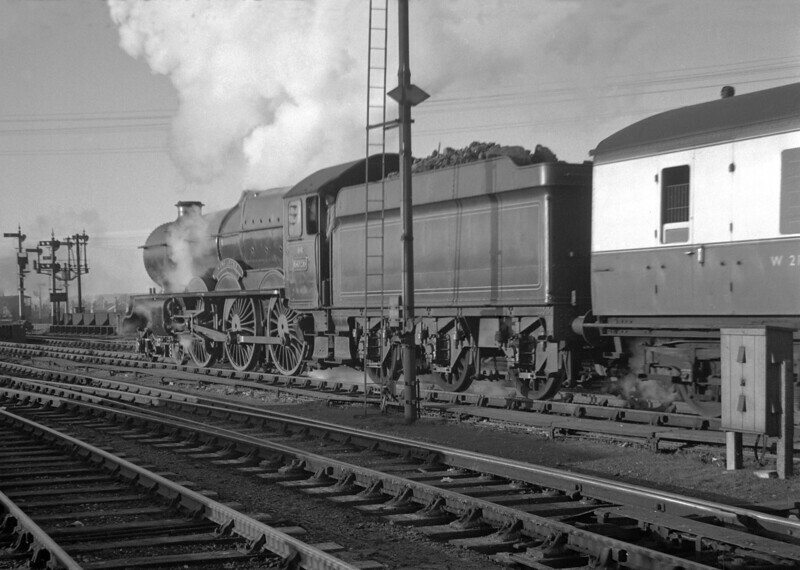 6026 King John pulling out of Reading General with the 2.18pm service to Plymouth and Penzance on 1 December 1951. "For those of you watching in black and white" (to coign a phrase!) the notes state that the locomotive was painted in B.R Blue livery! This is another half frame shot on the Ensign 16/20 and I have to admit that it is not as sharp as my father would have wished. But I just like the atmosphere.